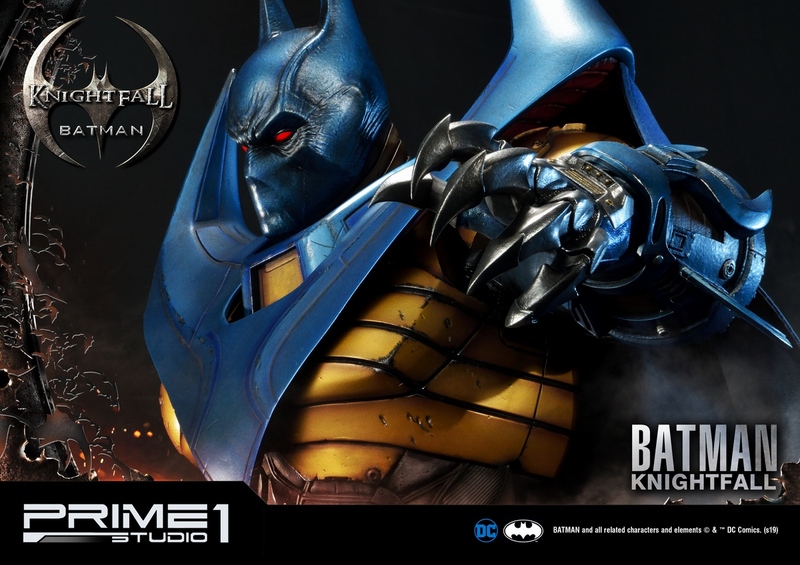 Prime 1 Studio：35寸《蝙蝠侠：骑士陨落》 - 蝙蝠侠BATMAN 雕像（MMDC-34#）兵人在线 - Powered by Discuz! 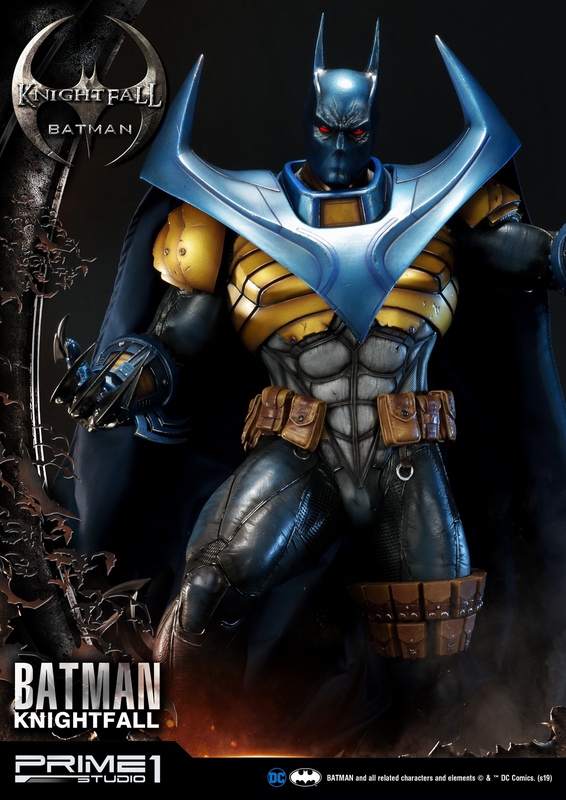 The character first appeared as a villain who became Batman's pupil and eventually took over the role of Batman through Knightfall. 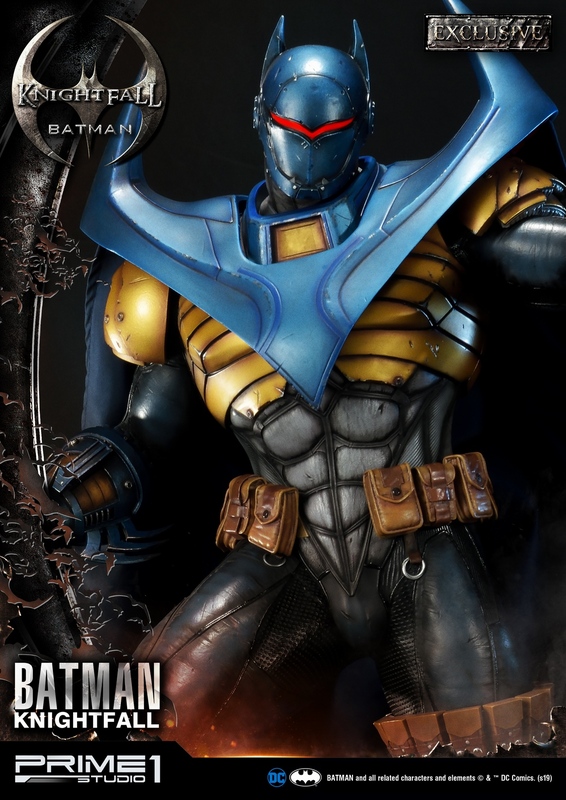 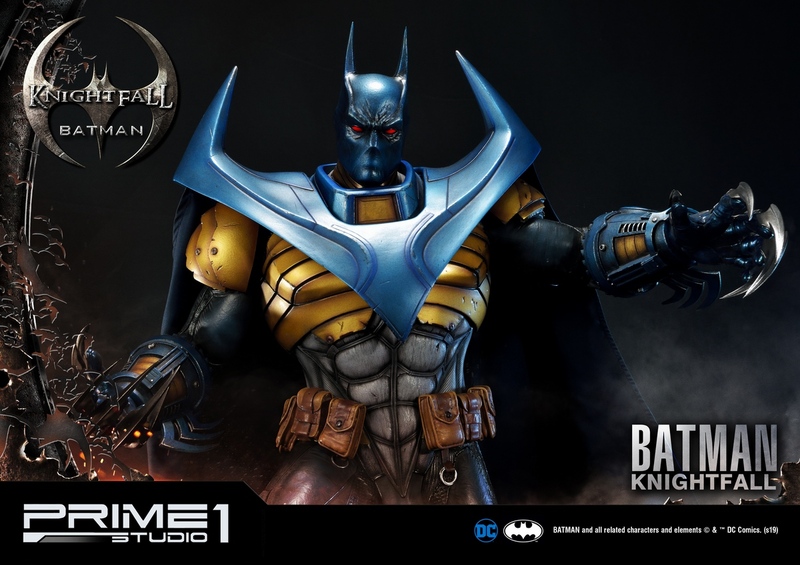 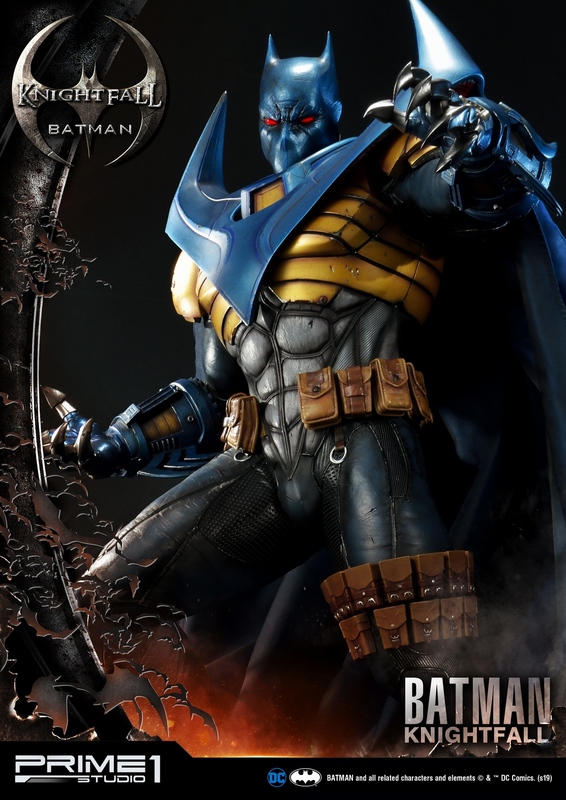 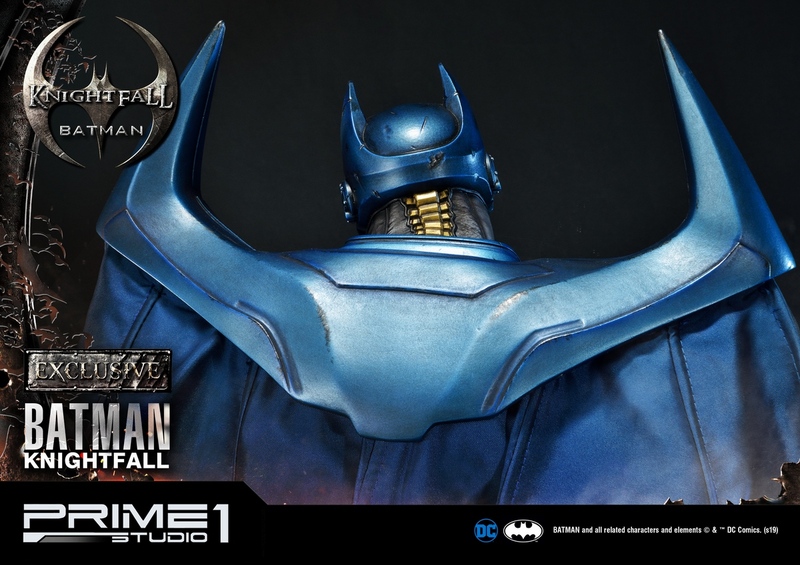 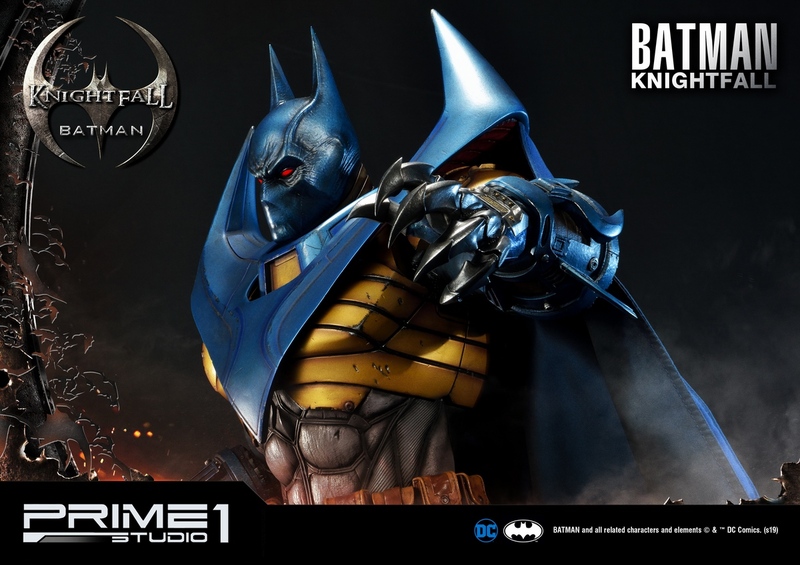 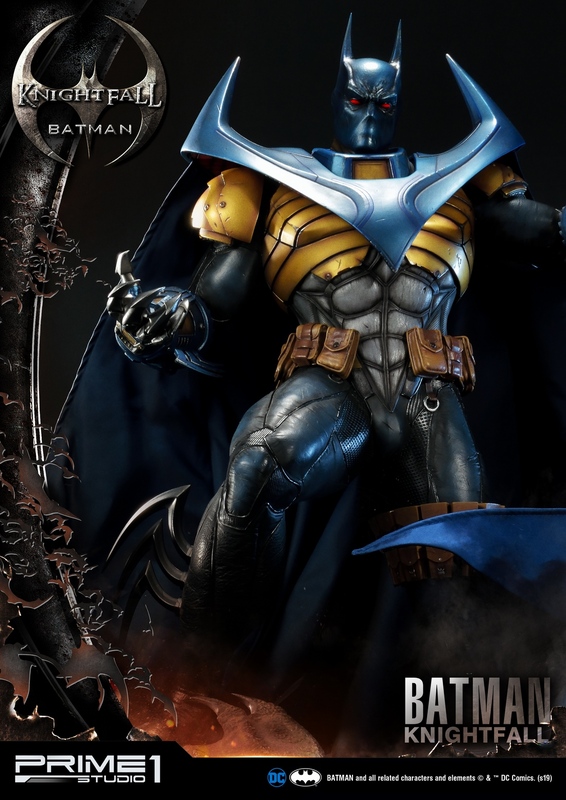 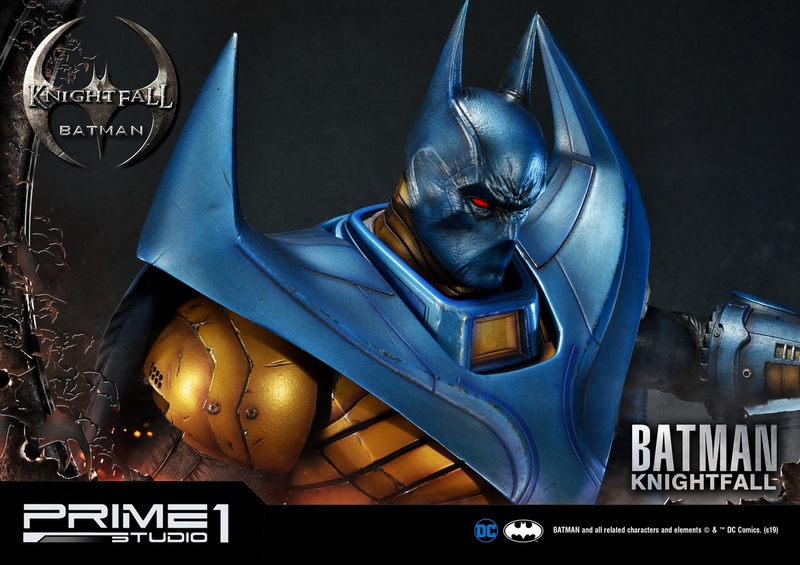 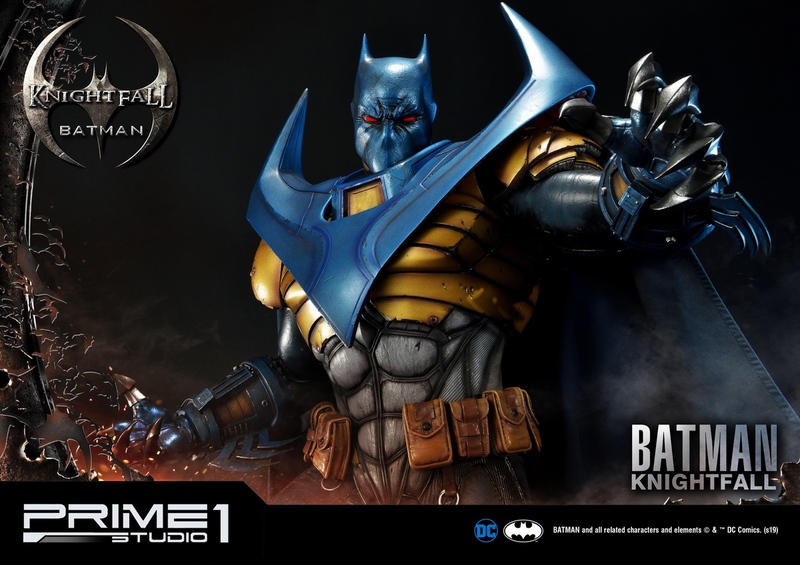 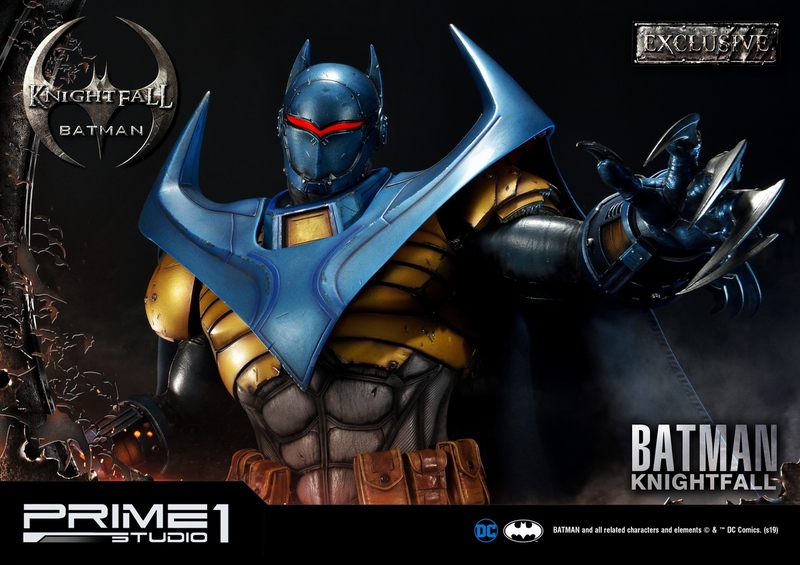 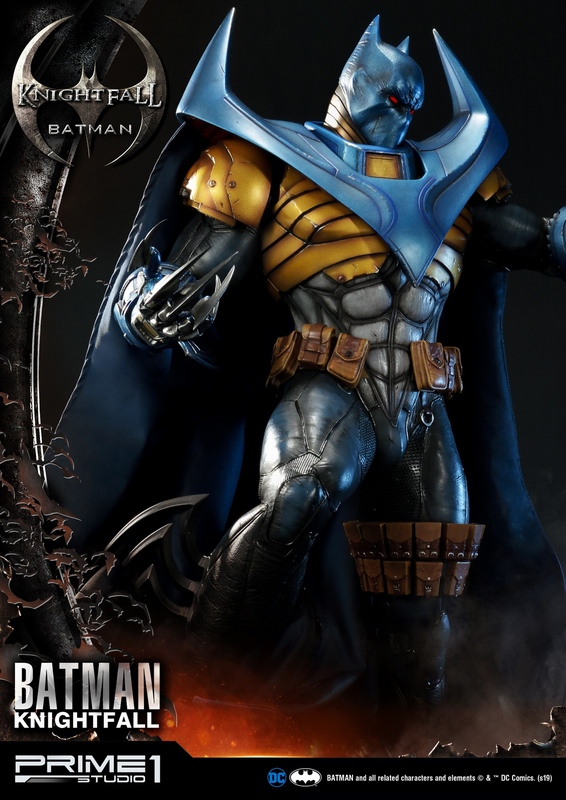 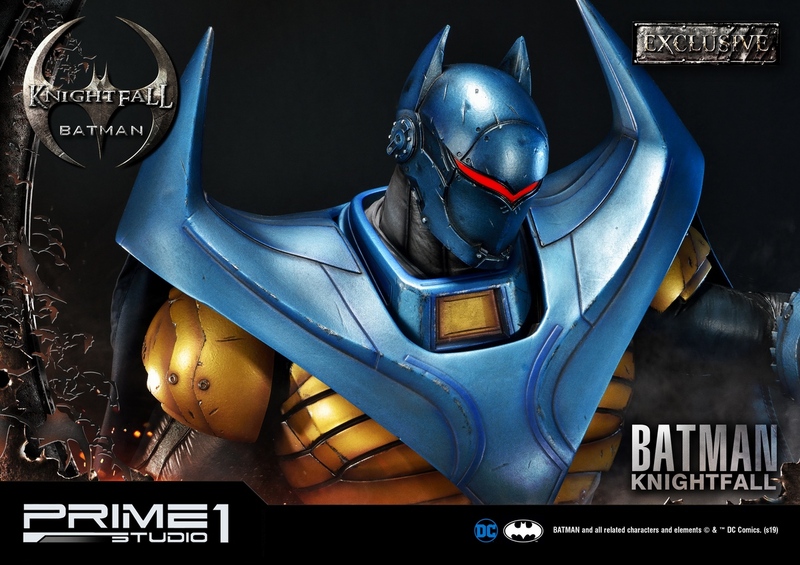 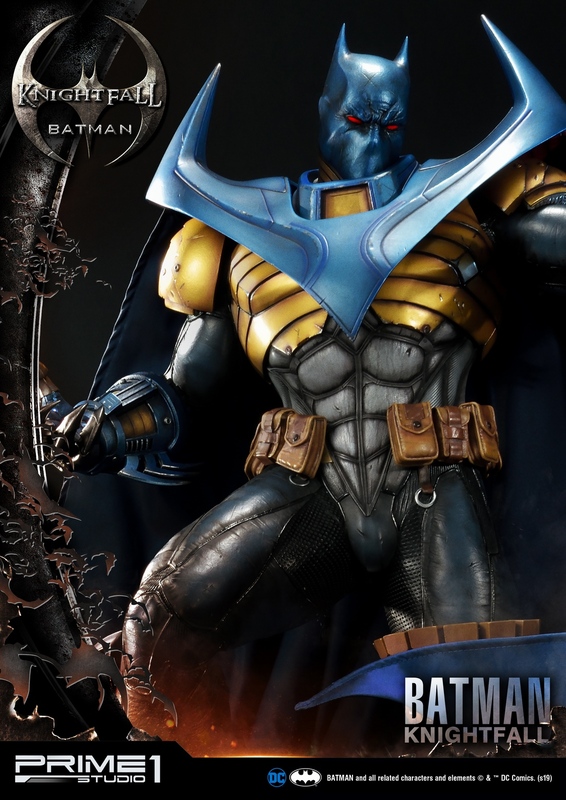 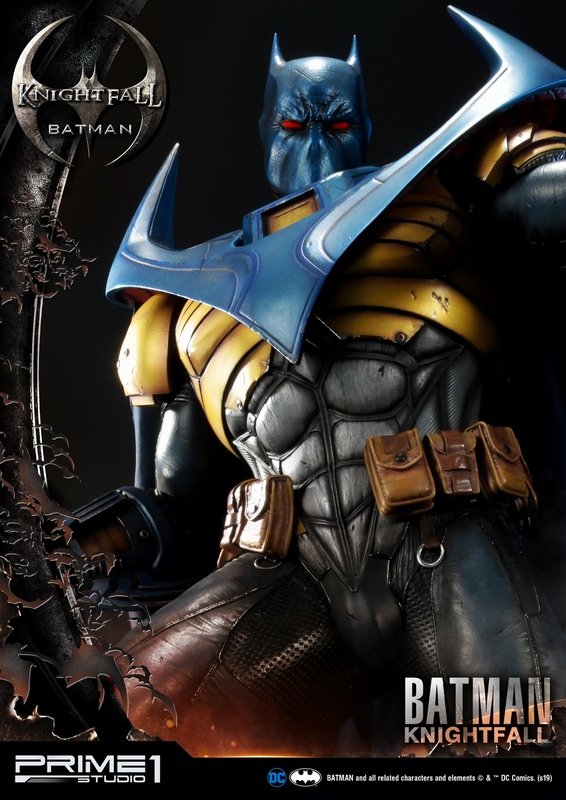 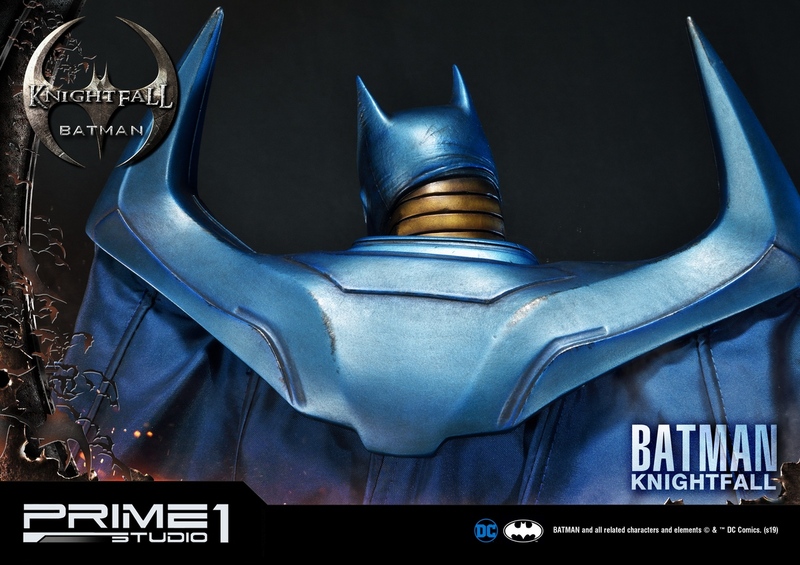 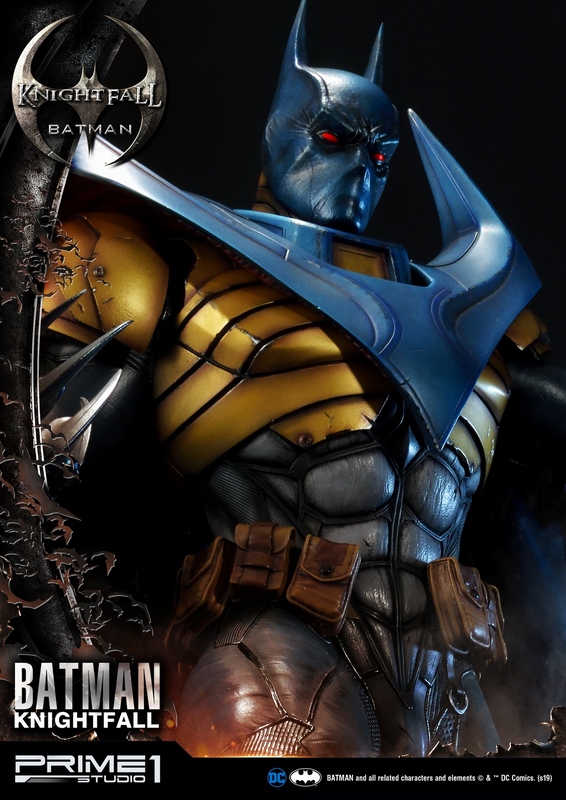 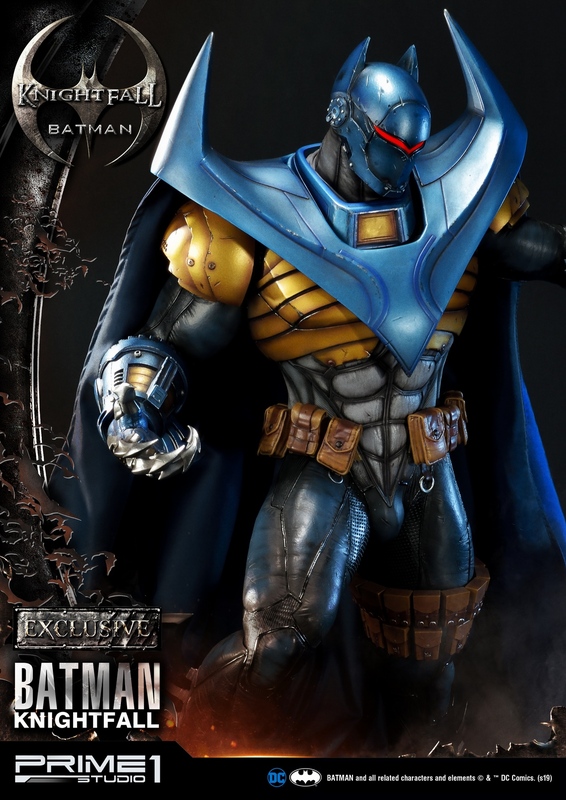 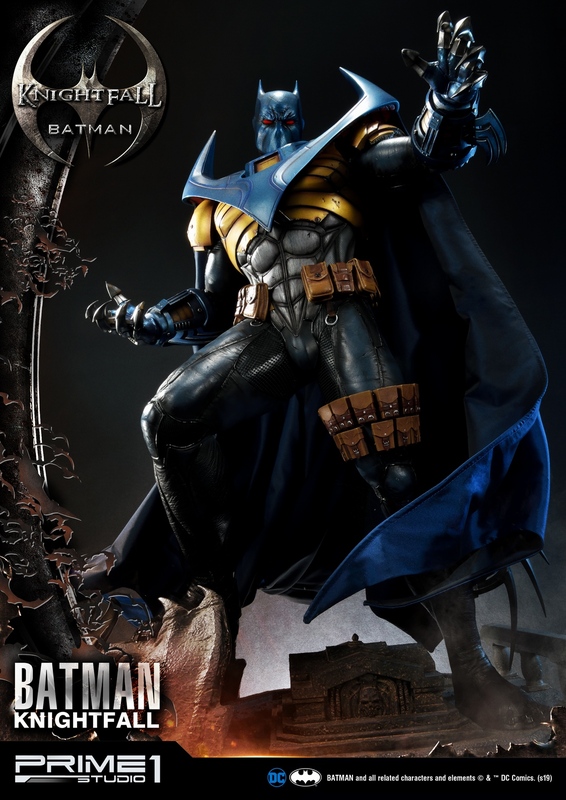 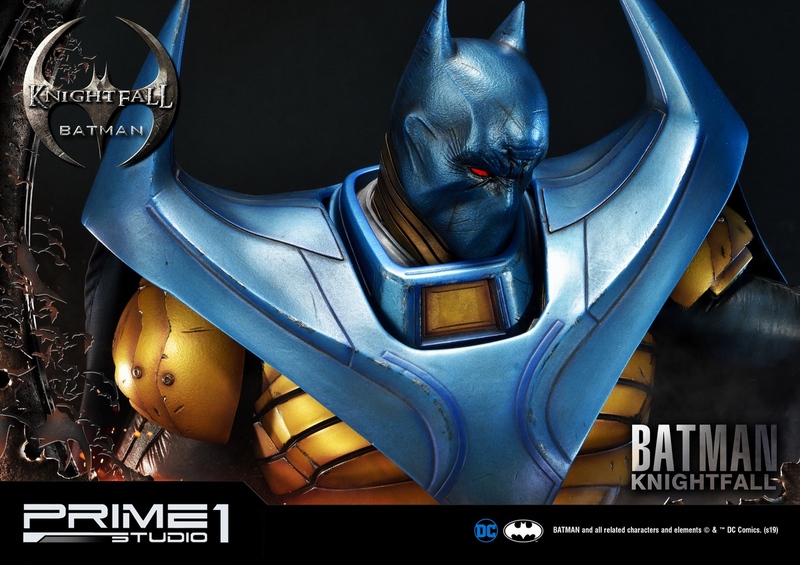 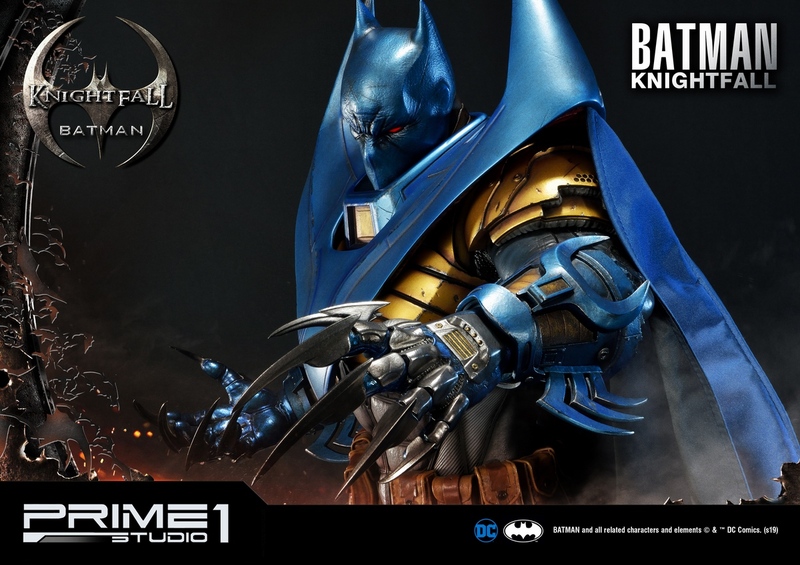 Prime 1 Studio is proud to introduce our MMDC-34 Knightfall Batman from DC Comics. 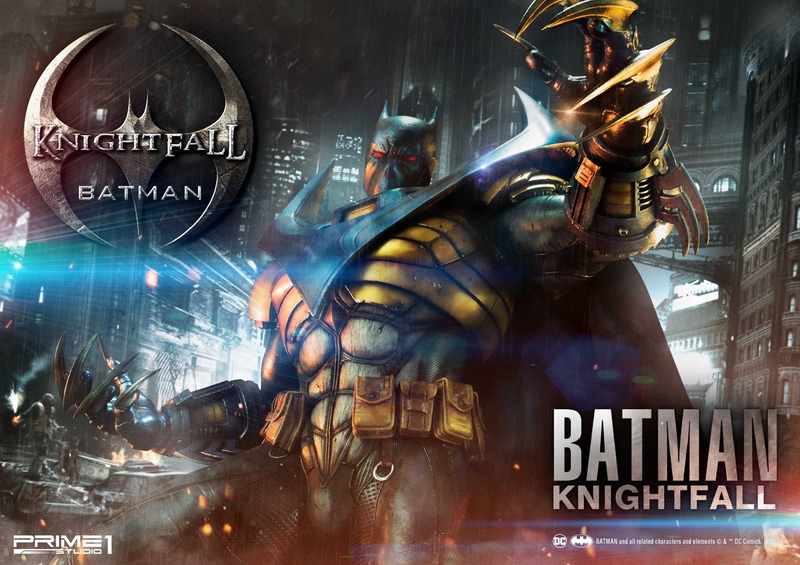 He is a combination of supervillain and superhero. 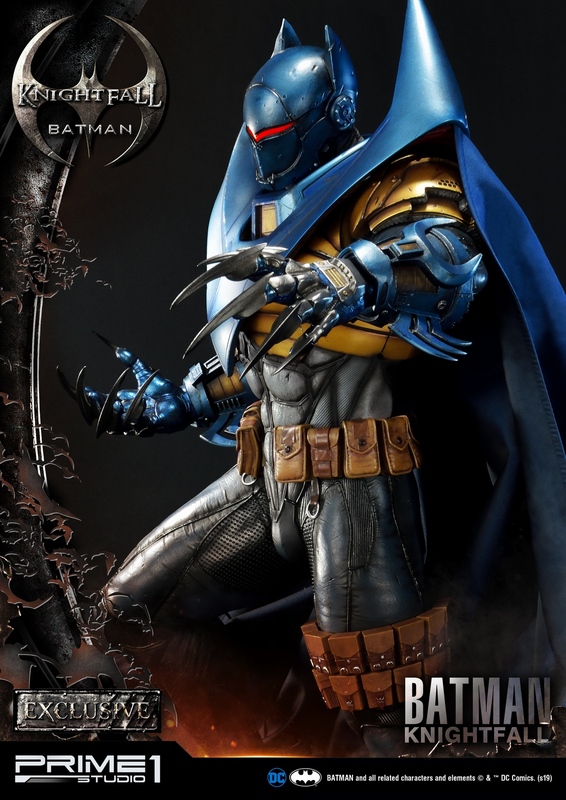 As the characterization, he often changes his personality from a ruthless assassin, Azrael who was created by the Sacred Order of Saint Dumas to a university graduate student of computer science in Gotham City, Jean-Paul Valley. 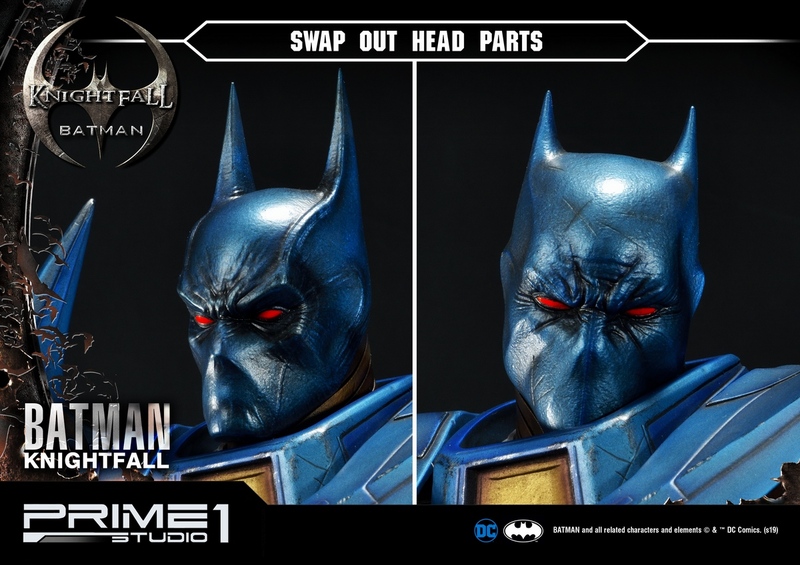 His transition from villain to hero also influence in his appearance. 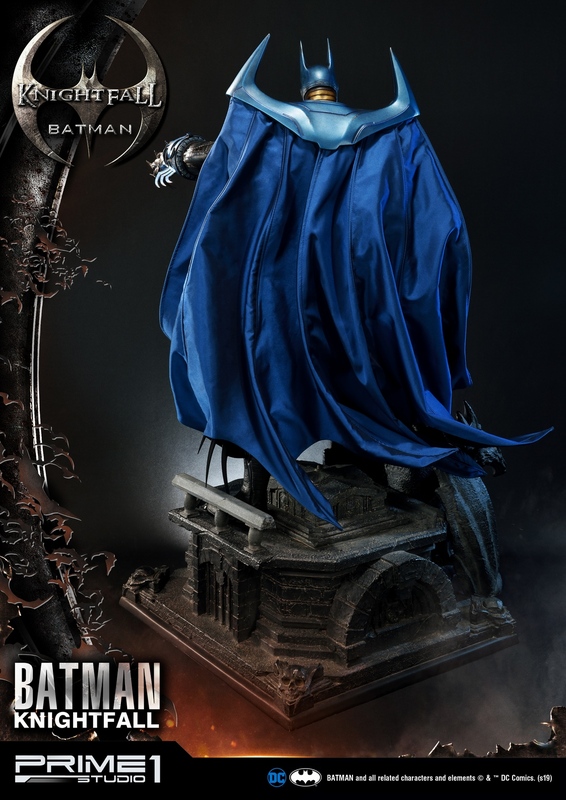 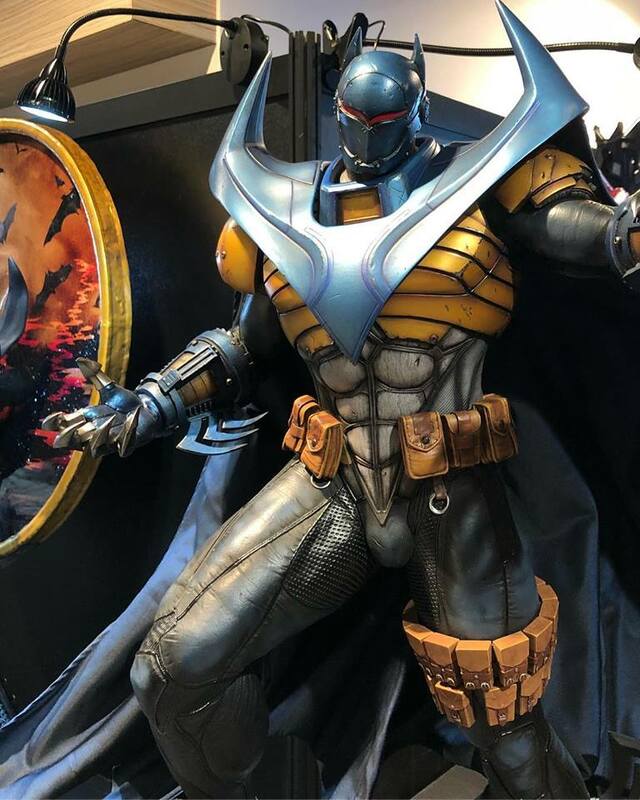 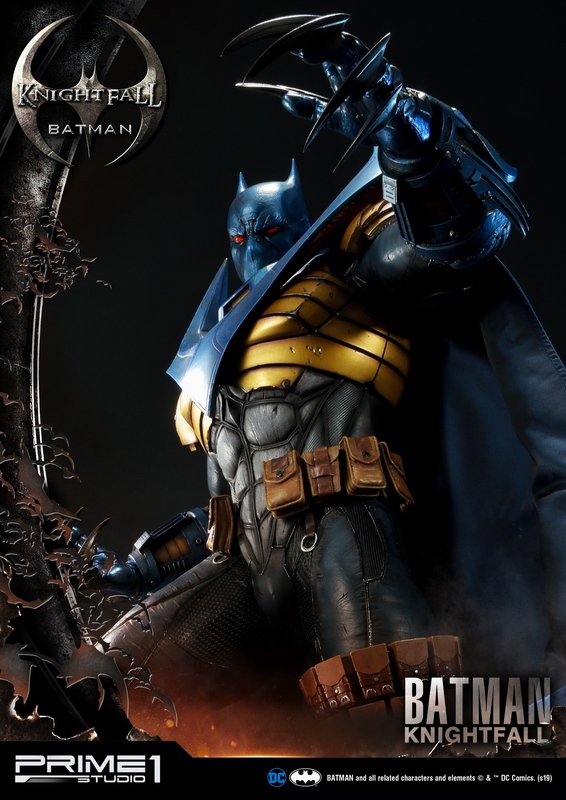 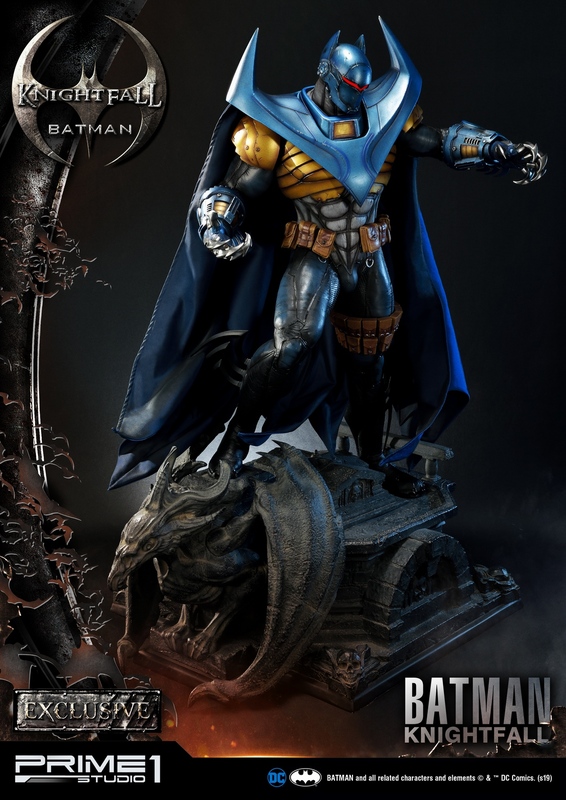 The Museum Masterline Batman statue adopts a variety of Azrael's costume styles. 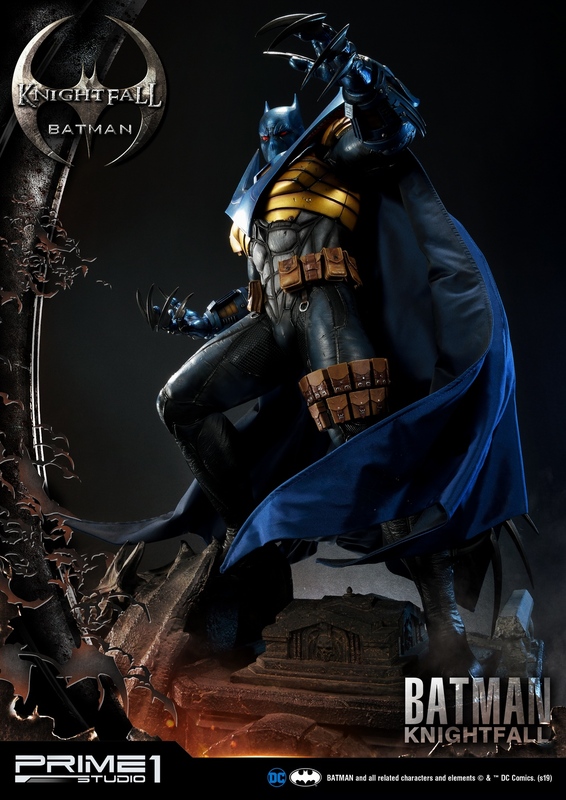 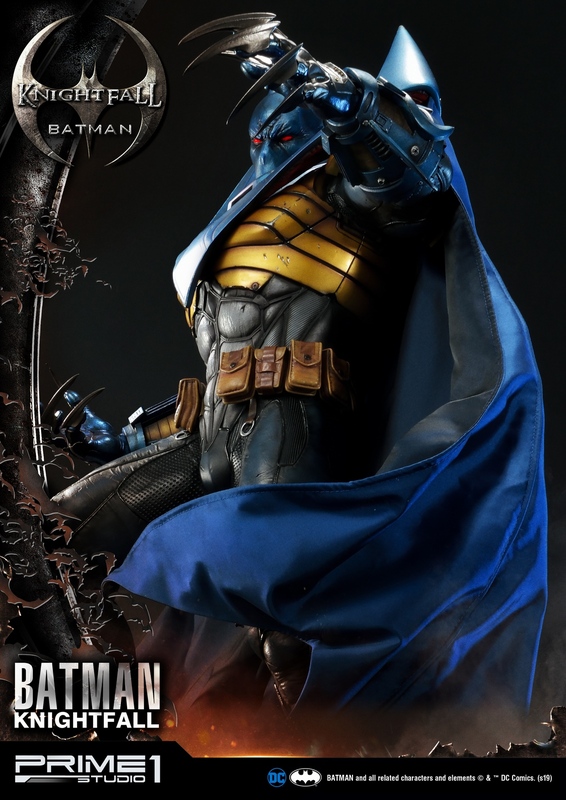 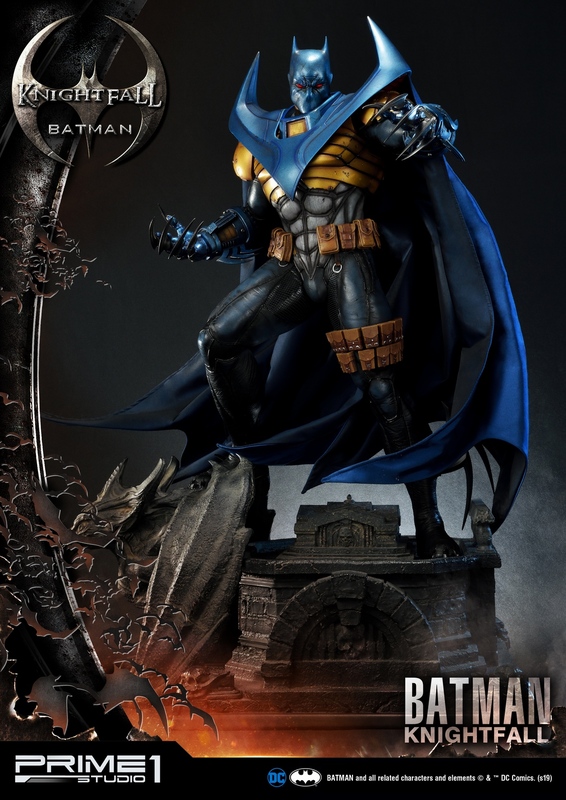 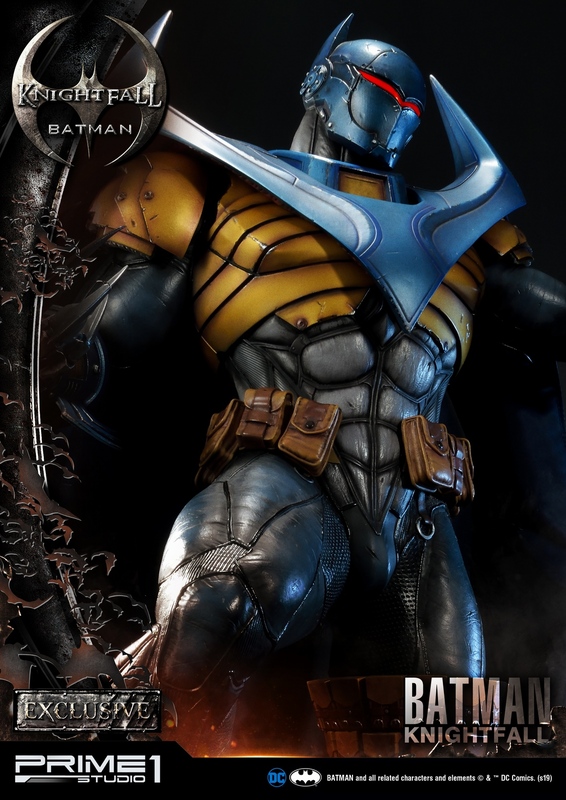 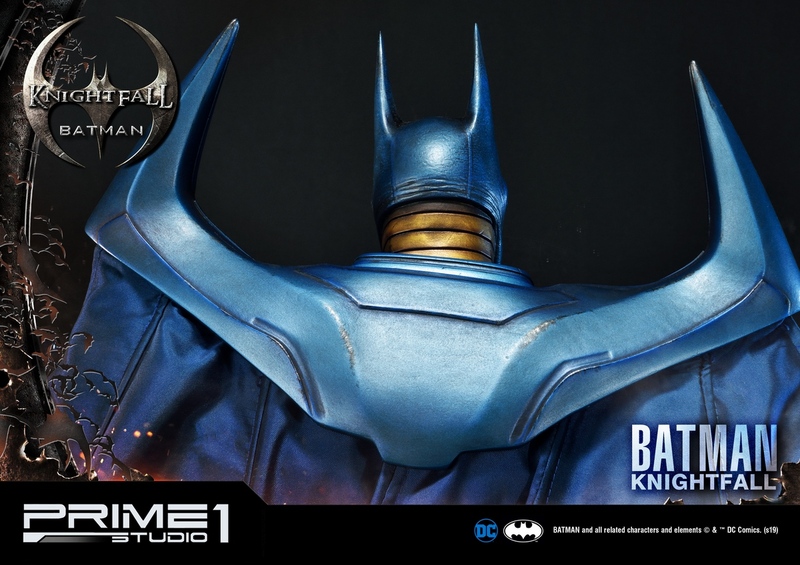 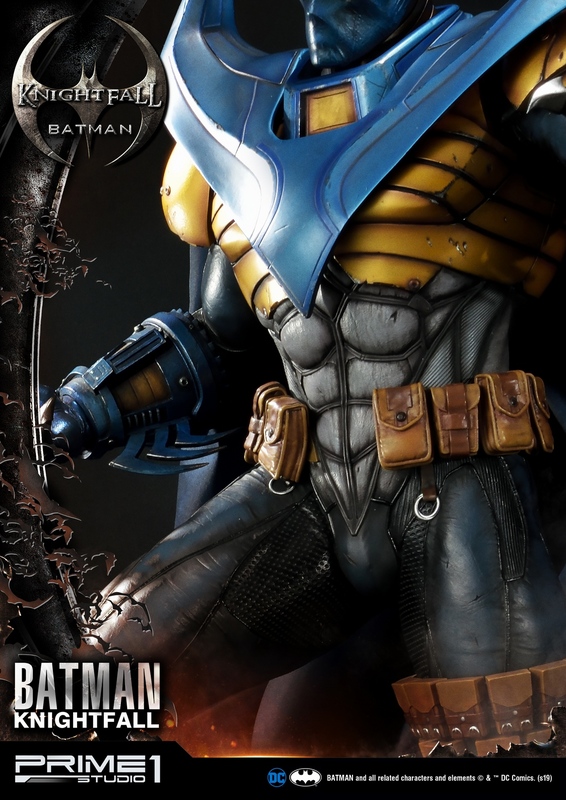 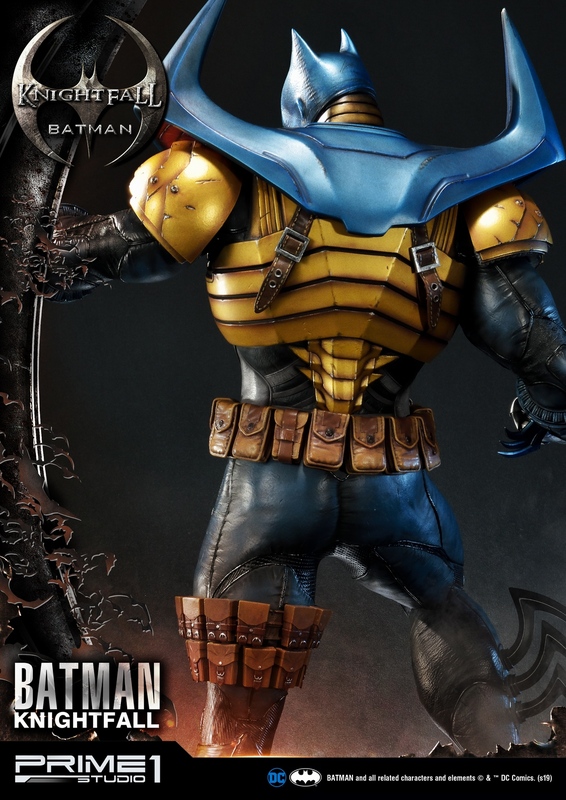 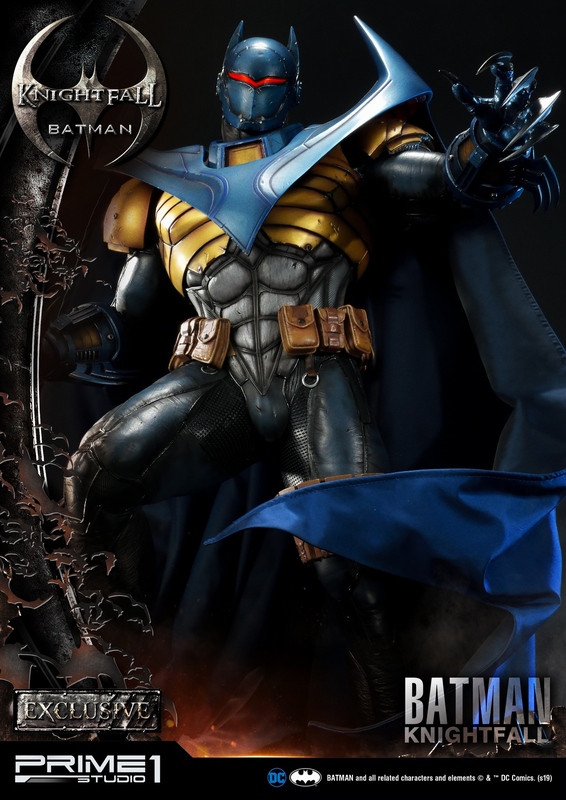 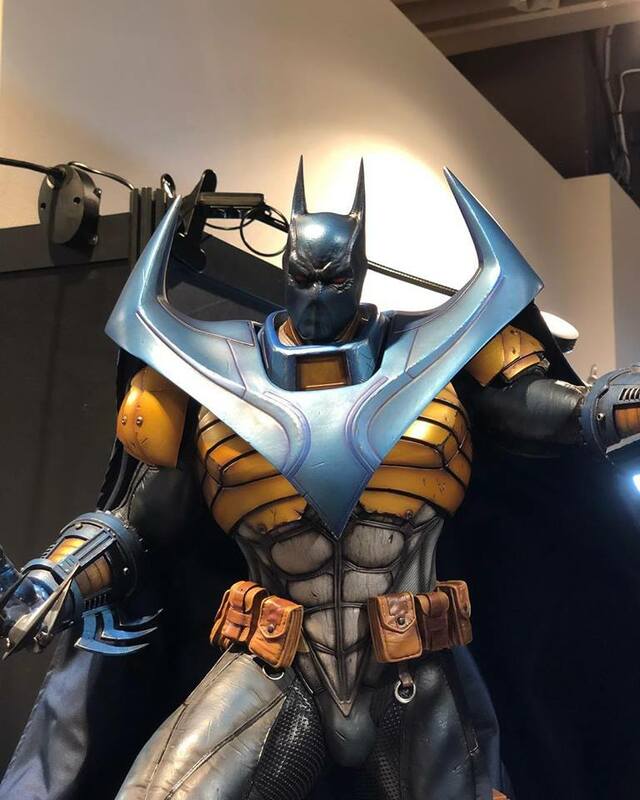 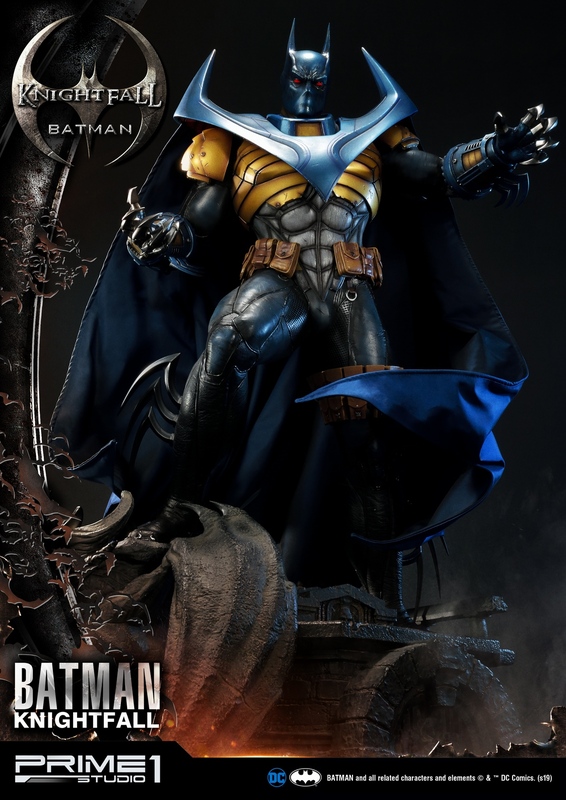 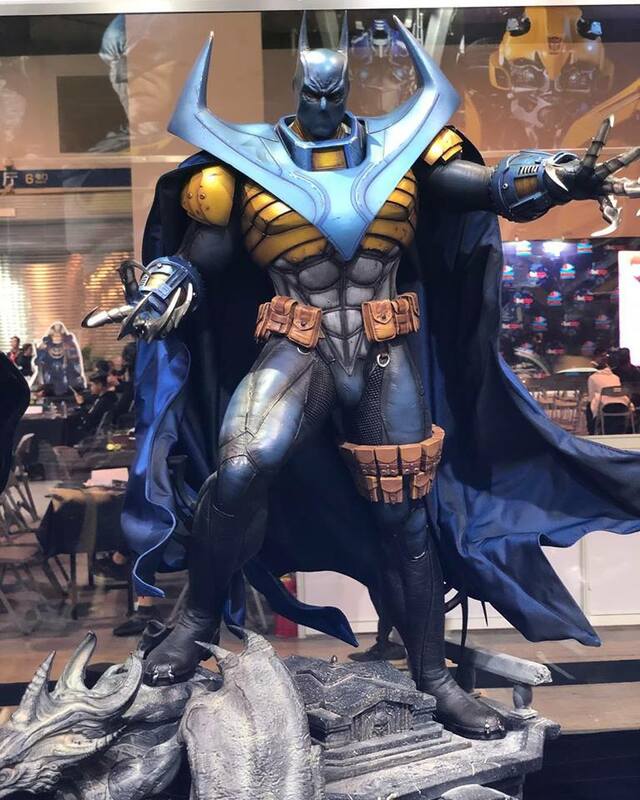 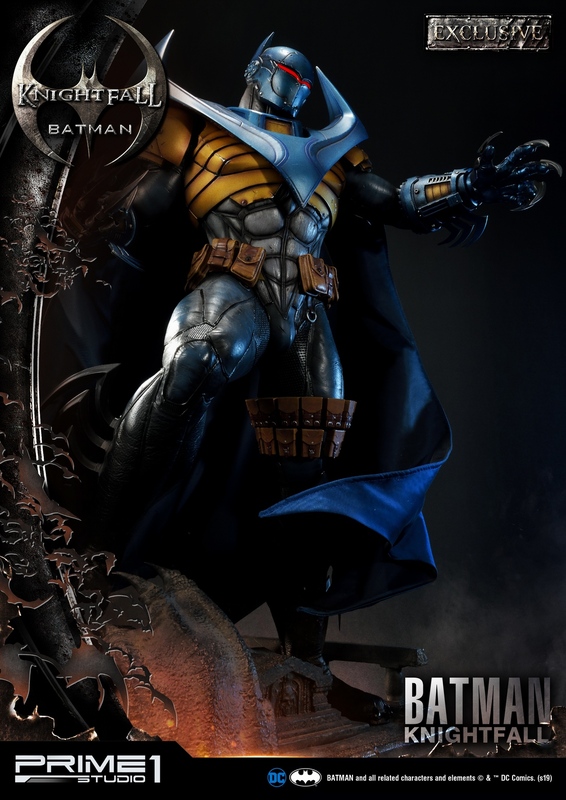 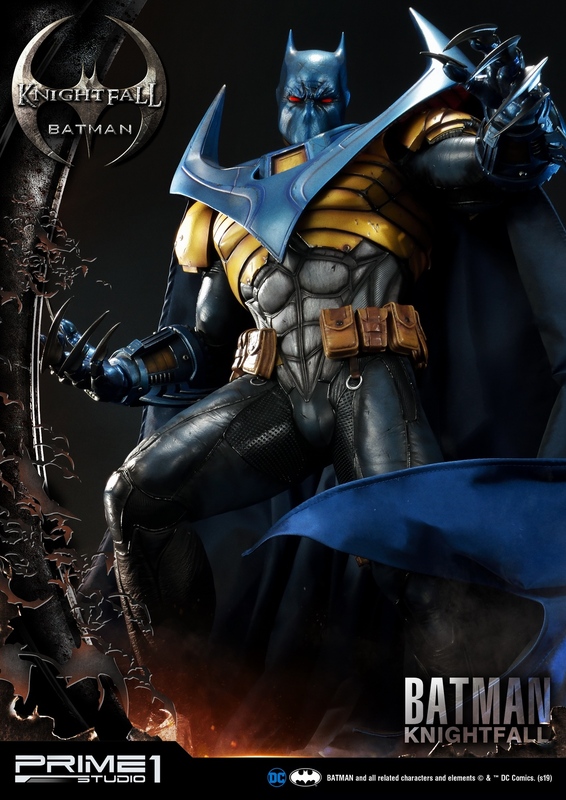 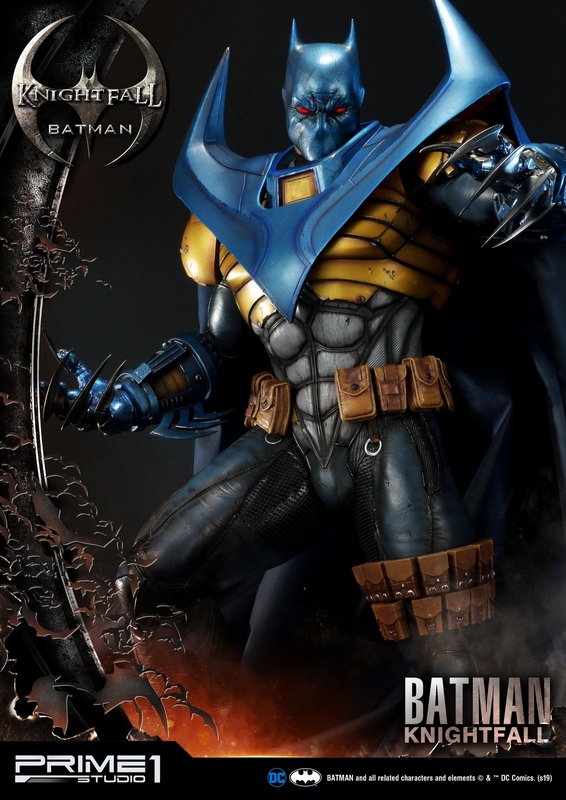 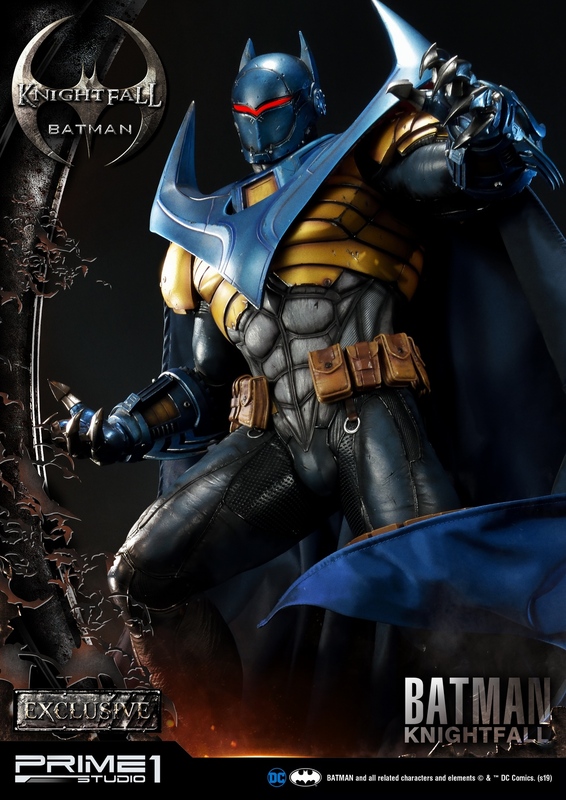 He wears a reinvented Power armored Batsuit that has a blue cape and a stylized blue bat symbol on the chest with the accent of yellow and gray color. 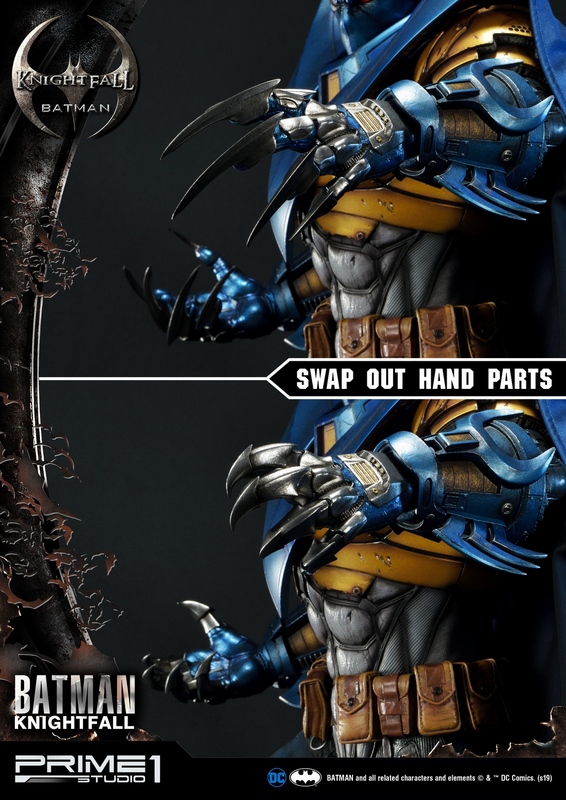 There is a variety of poses that could be interchanged such as the two sets of gauntlet blades, two alternative portraits to give all the most iconic expression. 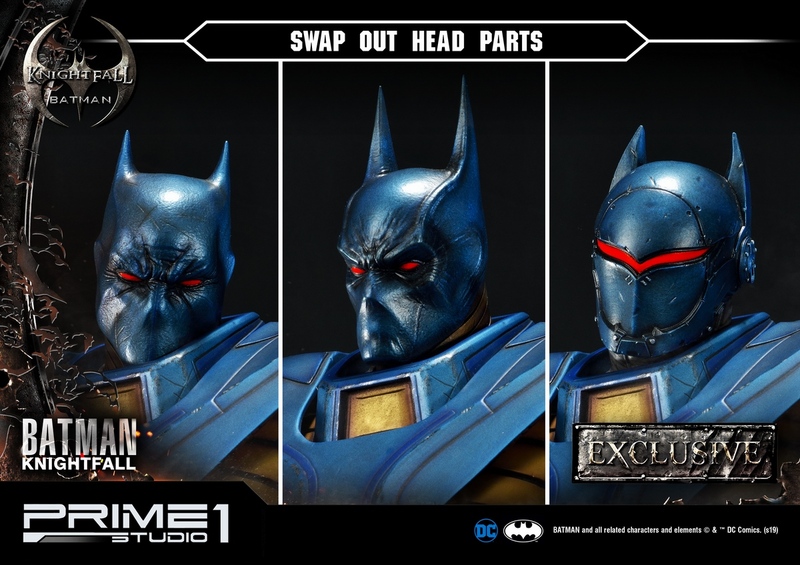 The Exclusive version of MMDC-34EX Knightfall Batman includes an additional alternative portrait. 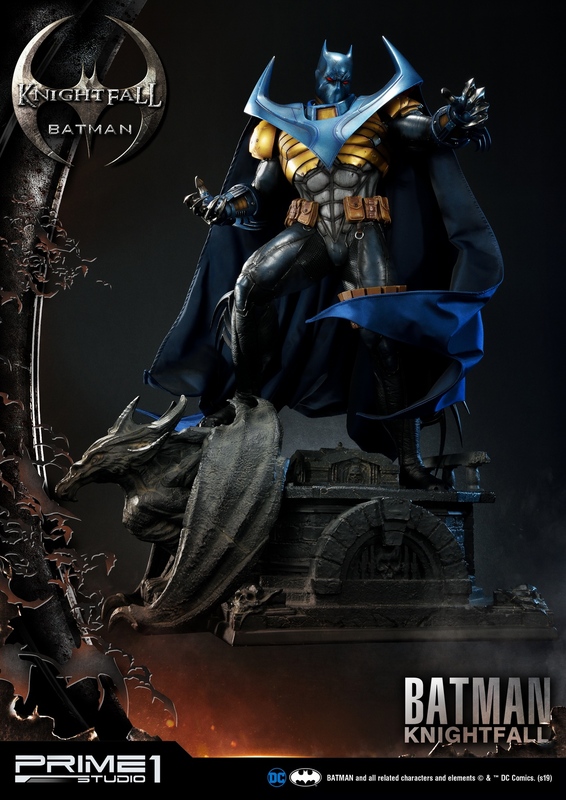 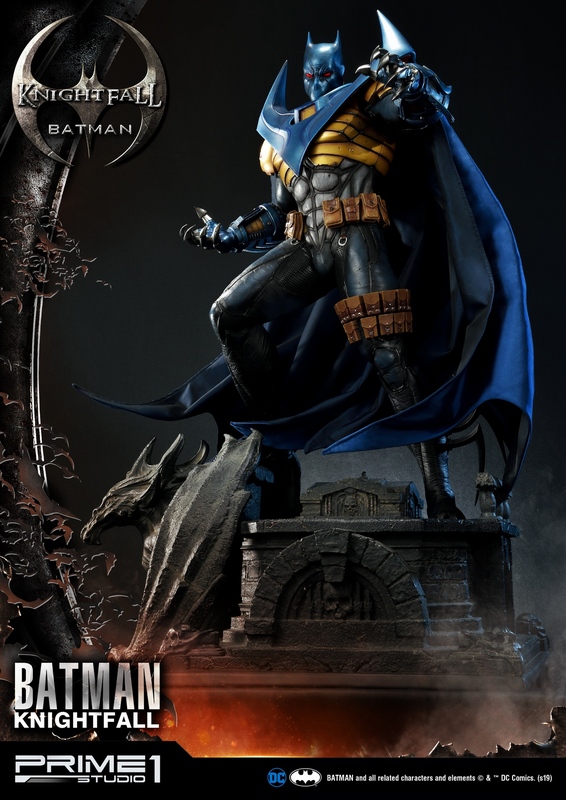 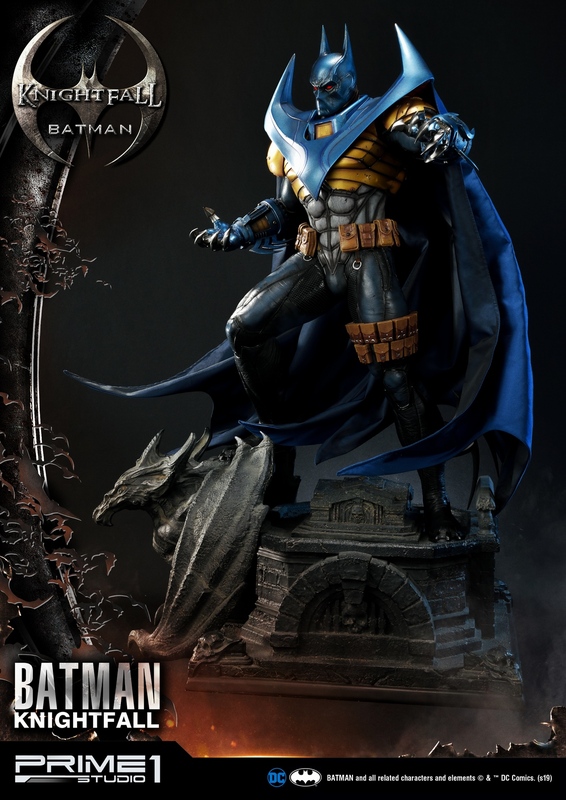 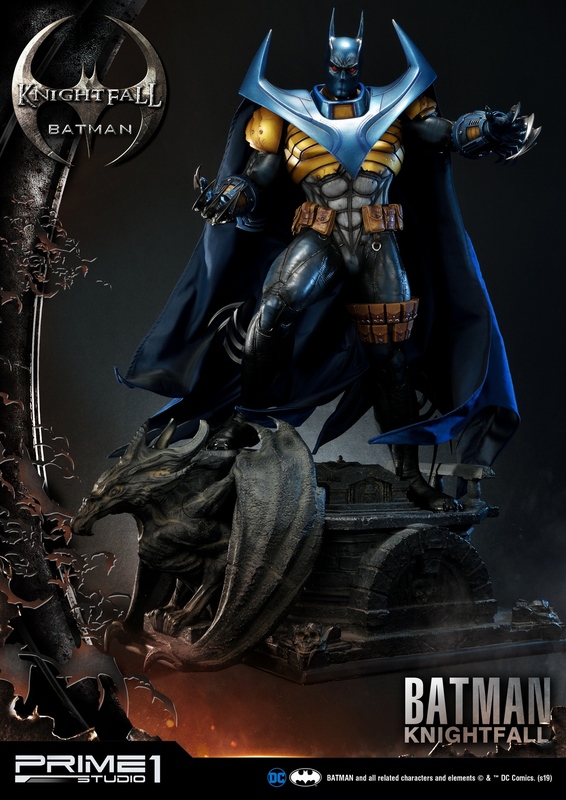 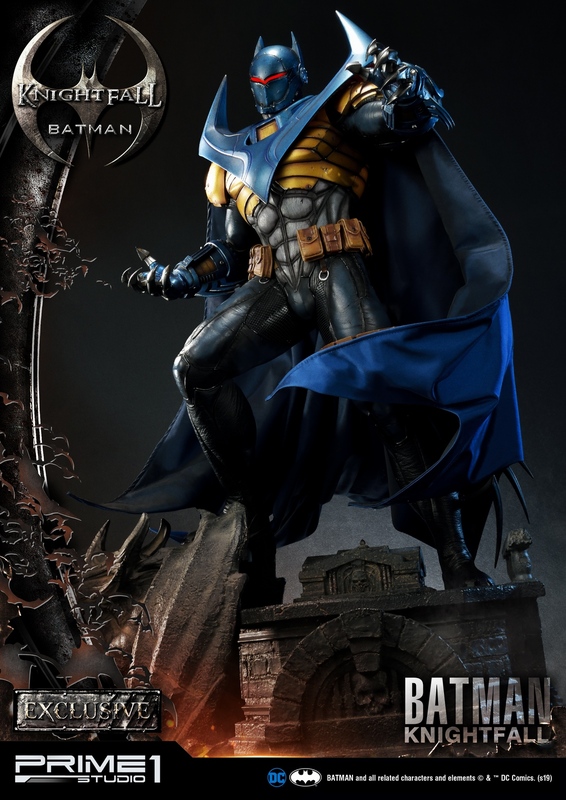 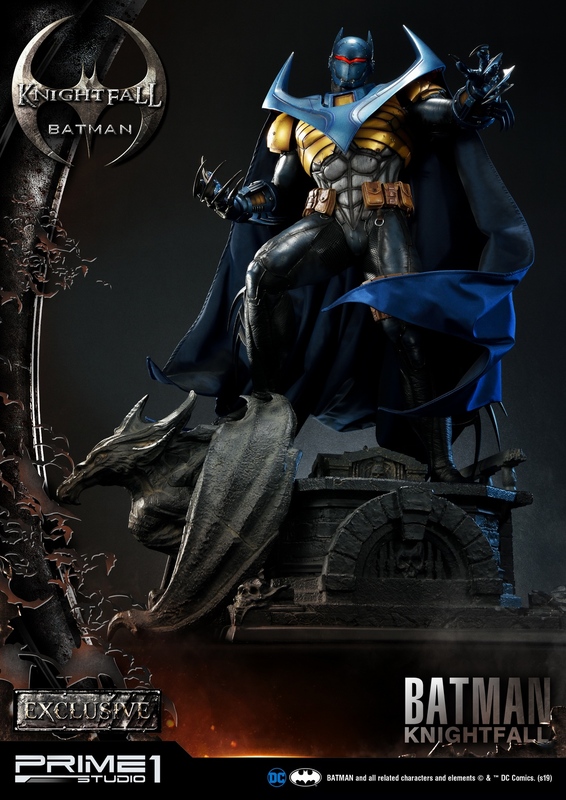 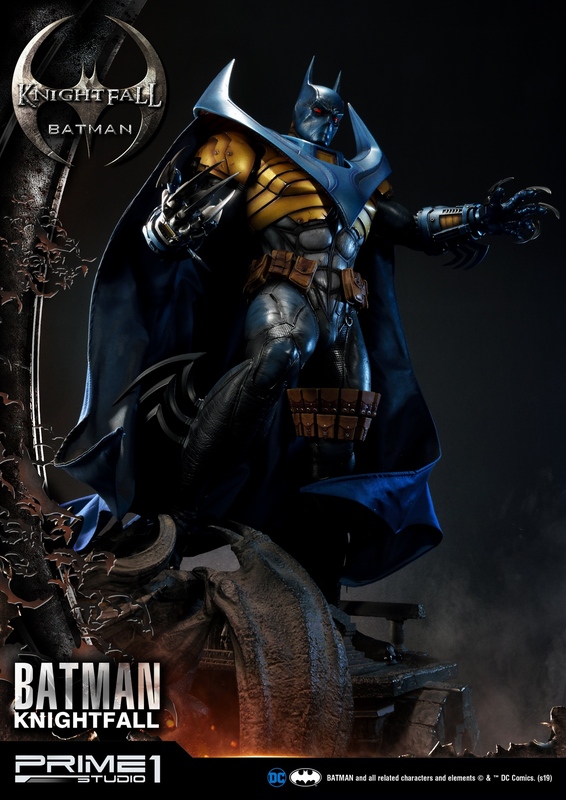 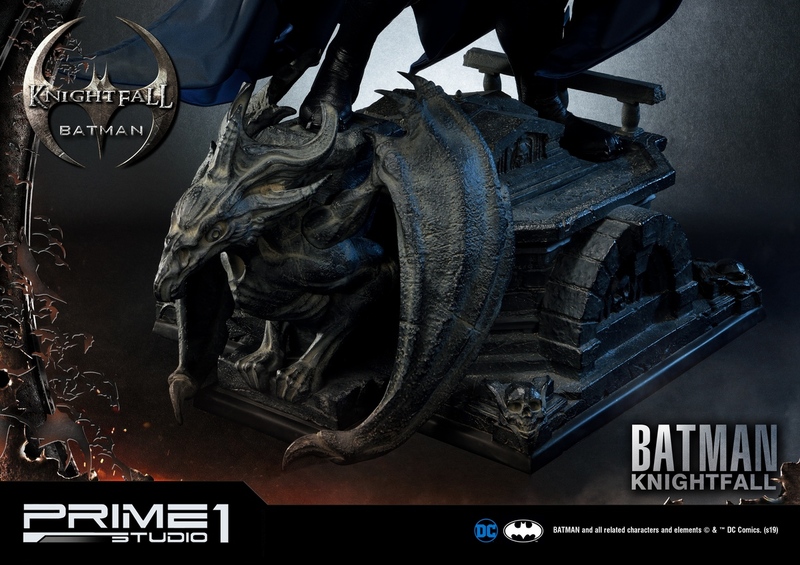 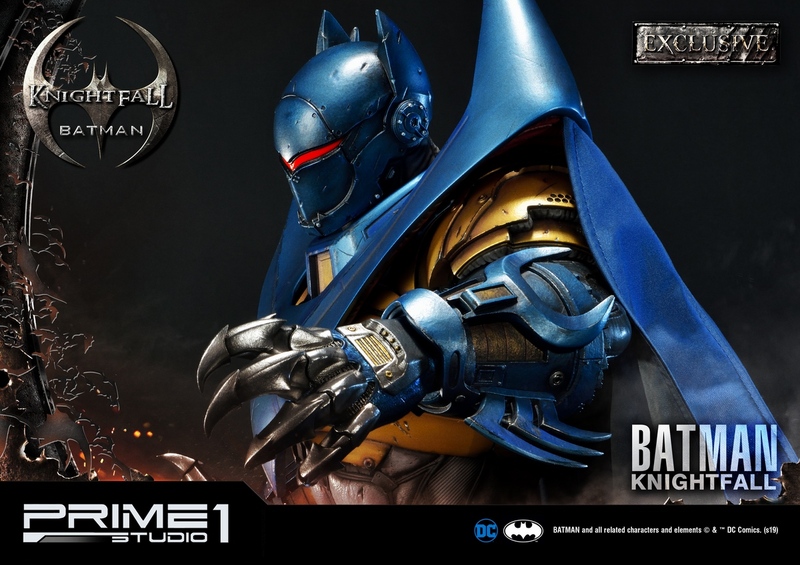 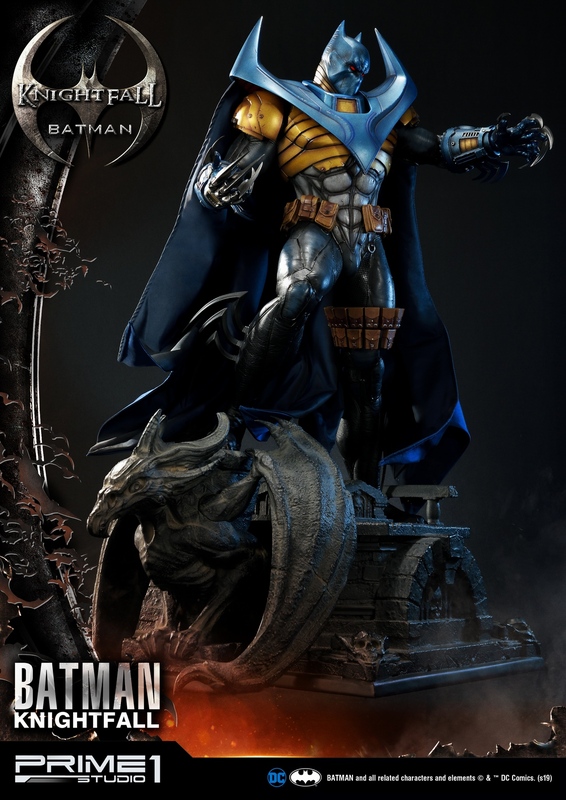 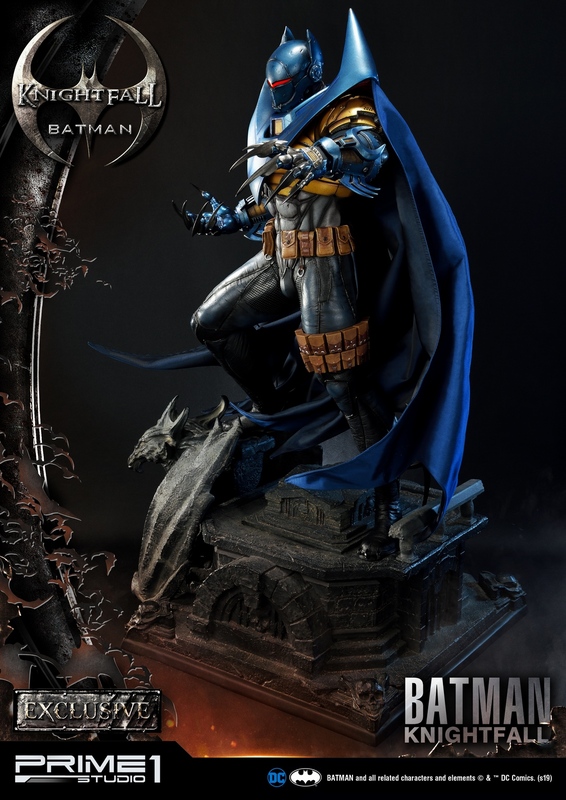 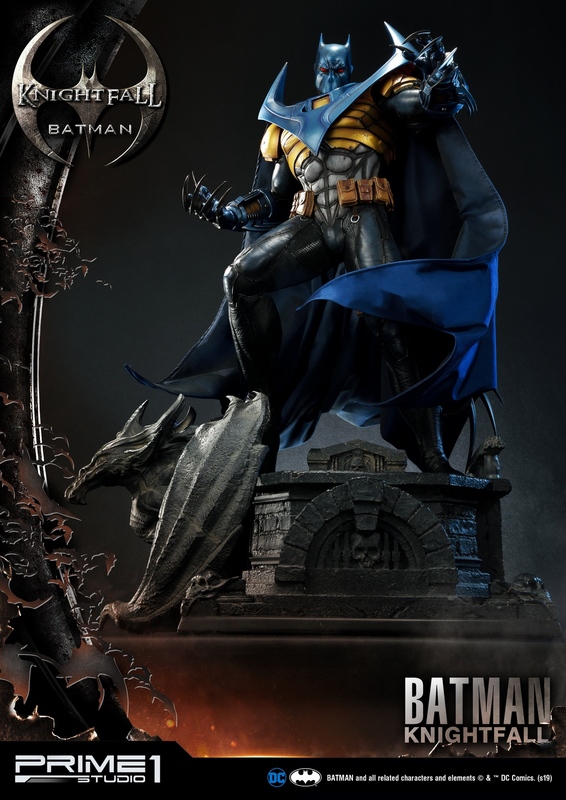 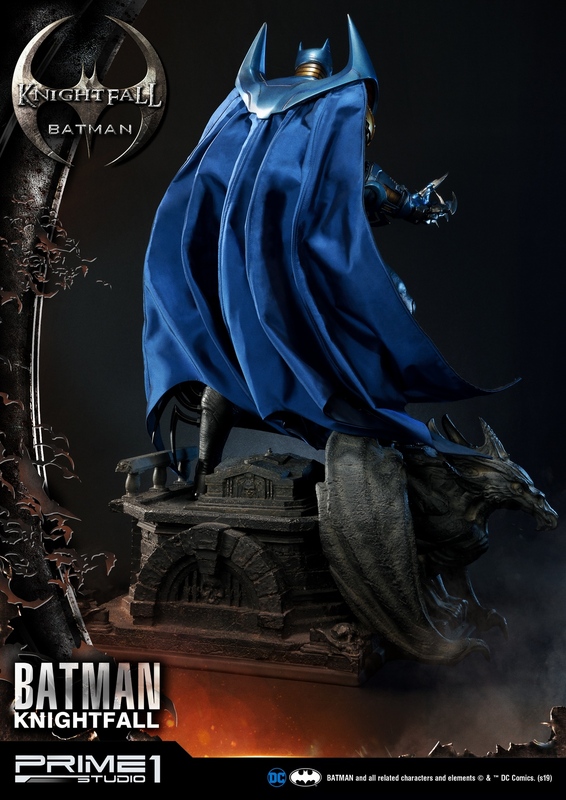 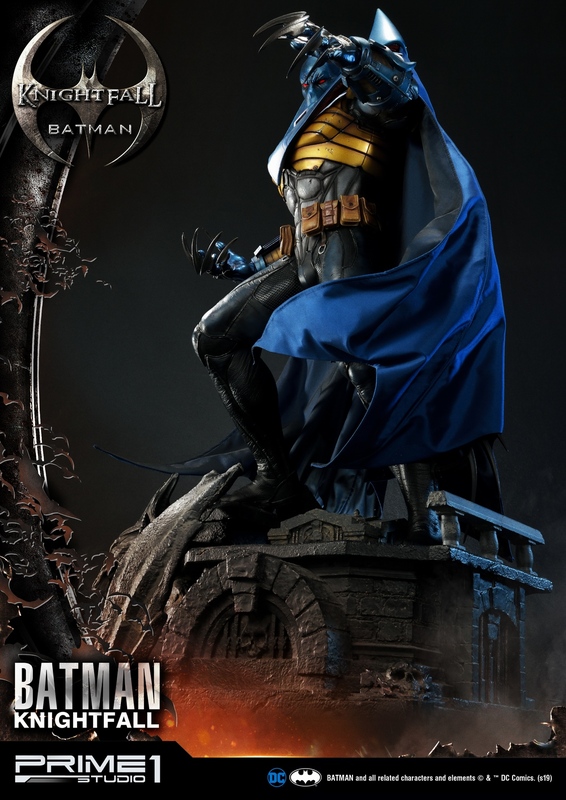 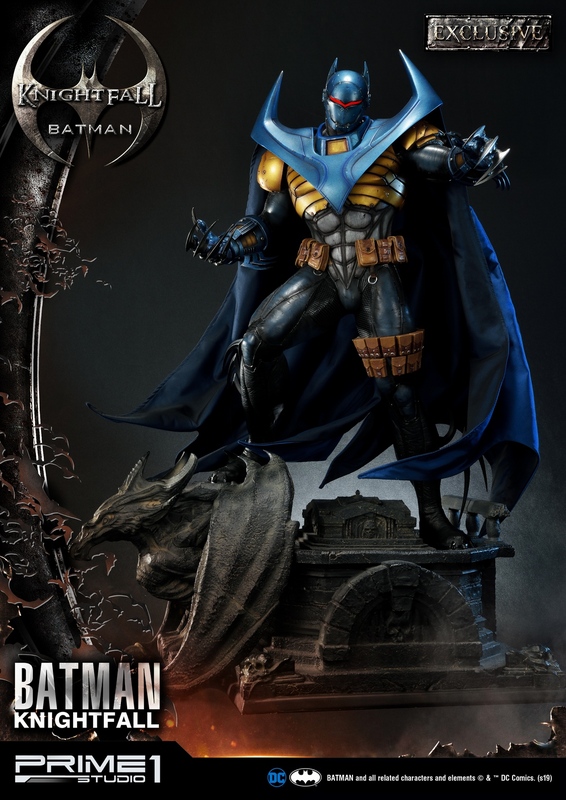 Knightfall Batman Fans don't miss your opportunity to get the new protector of Gotham City! 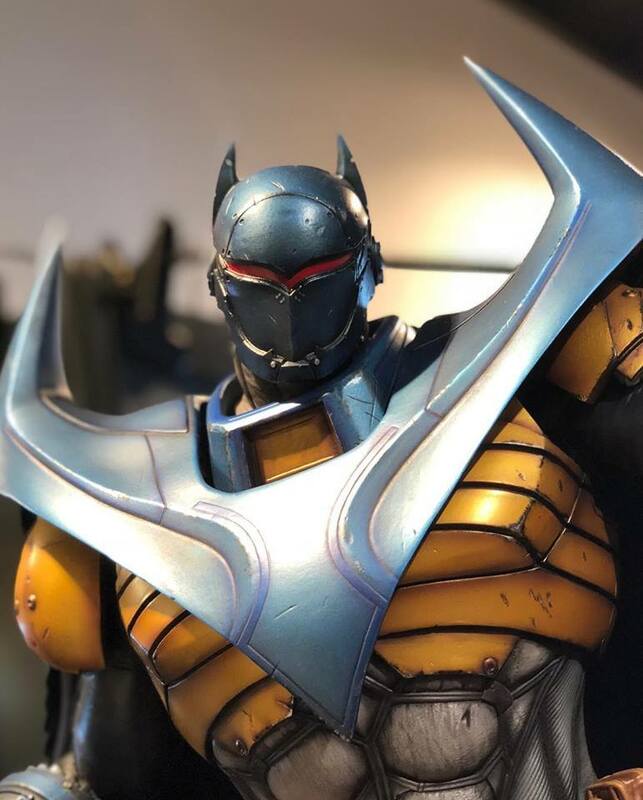 GMT+8, 2019-4-19 01:37 , Processed in 10.370333 second(s), 33 queries .